Metal and alternative rock singer who performed under the name of "Telle" with The Word Alive, Greeley Estates, and In Fear and Faith. In 2012 he released a solo album called Touch Of Your Lips. He studied at Spring Valley Academy in Centerville, Ohio and started playing the guitar at age seventeen and singing at age twenty. He became known for his large vocal range and for his skill in seamlessly shifting between melodic singing and the yelled vocals required of the heavy metal genre. He and his three brothers-- Tanner, Dustin, and Travis-- grew up in Ohio. He began dating a woman named Pamela Moses. 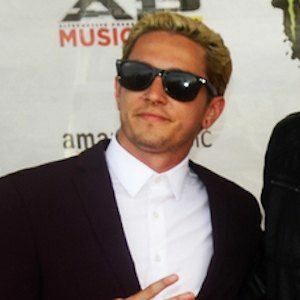 He replaced Craig Mabbitt as lead vocalist for the Arizona-based metalcore group, The Word Alive.